I move to Minnesota from Atlanta and became a big dealer in the drug game during high school continued unto my freshman year in college. Shortly after dropped out of college and sold drugs, in the midst of it all I met my wife who invited me to church before we were married. 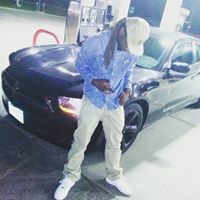 I caught a case not to long after i began going to church and called it quits, I also was a secular rapper but stopped because I didnt see rapping about what I was, right in God's eyes so I quit. But God opened my eyes that music was His creation and I'm supposed to use it to bring soulz to the Kingdom to be saved, about six months later I got signed to an independent label known as 1WayEnt/Hudson Gospel and then got married.